The following figure shows a sample of solid Na2SO4 ready to be dissolved in water. Which one best represents the changes that occur in the solution process?. Correct. In the presence of water the ions are distributed regularly, surrounded by water molecules. Ion-dipole (water) interactions are not shown. Wrong. 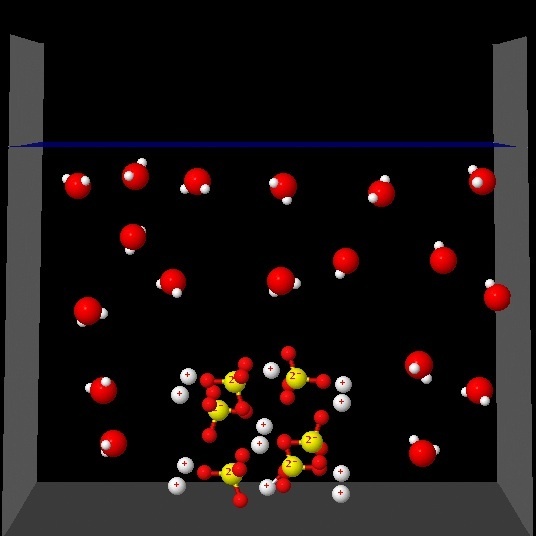 This animation shows the water molecules around the solid sample without separation of ions in the aqueous medium. Wrong. 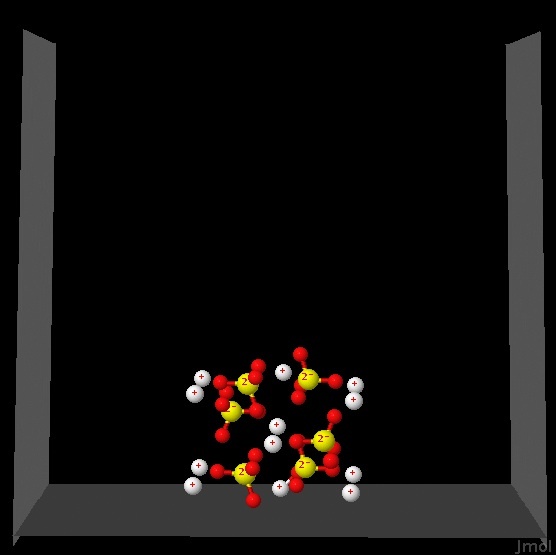 The animation shows that ions are separated but not water molecules around the ions. Wrong. The animation shows that ions are separated from the solid but left in the bottom of the glass. No water molecules around the ions.